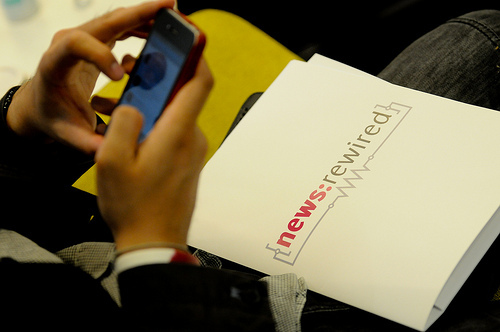 After another sell-out day of tips, tools and trends in modern journalism in July, we are now delighted to announced the next news:rewired conference will take place on Tuesday 3 February 2015. The one-day digital journalism conference will focus on the most important trends in the industry, with experts from leading news outlets in the UK and overseas discussing the latest innovations in their work. As ever, a big part of the day will also focus on skill-sharing and practical experience, with workshops and sessions on the day. Delegates can also choose to book a one-day intensive training course on Wednesday 4 February, with three options available, at a discounted price as part of a news:rewired+ package. We have some great plans for the agenda but are always open to suggestions. If there is anything you would like to see or projects you think deserve more attention email alastair[at]journalism.co.uk with some details. You can still see the agenda, speakers from the previous event and testimonials to get a flavour of what to expect. Earlybird tickets are on sale now for just £120 +VAT. We only have 50 earlybird tickets available, and they tend to sell out quickly, so make sure you don’t miss out. Tickets include breakfast, lunch and networking drinks. The earlybird discount is also available on our news:rewired+ tickets, which include a ticket to the conference plus a full day of training the following day. At £270 +VAT, these tickets represent a 25 per cent discount on the training course in addition to the reduced price for the conference. Early bird tickets are available until Friday 10 October or until the all 50 are sold out, at which time news:rewired tickets will increase to £165 +VAT. News:rewired+ tickets will increase to £335 +VAT. Once the training courses are announced, training course tickets will cost £200 +VAT when bought separately. Past attendees may notice that the ticket prices have changed. This is not a decision we have made lightly, as news:rewired is aimed at working and aspiring journalists at all levels. This is, however, the first time we have changed the pricing structure since 2010, a change made to keep up with event costs.